Many different source materials were used to develop this site. First and foremost is the original source material on-hand at the EllisParkerButler.Info Library. This library has copies of most of Butler's books and innumerable copies of magazines, anthologies and other printed works with material by or about Butler. Additional sources include online references, published indexes and microfilm/microfiche collections. Editor's Note: I have purposely chosen not to apply academic-level standards to attribution of the information on this site. First, I am neither particularly qualified nor inclined to develop the standards necessary to maintain such a level of attribution. Second, the mission of this site demands a level of readability and approachability that frankly runs counter to a high level of attribution. Accuracy remains of premier importance, but this is a site of popular culture and not necessarily one of scholarly research. Relax and enjoy! That said, all items in the bibliography are attributed to one or more sources. [ARGOSY] Fred Cook's The Argosy Index. Compiled & Edited by Denise Cook Uhler. Adventure Fiction Press. Claims to be -- and seems to be -- the definitive index for all issues of the Argosy. ISBN 0-9710999-0-1. [BERCH] Contributed by Victor A. Berch, Librarian Emeritus (former Special Collections Librarian) of Brandeis University and literary detective. [BEST] Best Short Stories And the Yearbook of the American Short Story. Edited by Edward J. O'Brien. Small, Maynard and Company. Boston. 1918 and others. [CHAPIN] Lighting Out for the Territory Back East: Ellis Parker Butler, American Humorist. Researched and written by Henry B. Chapin as part of the Books at Iowa Project (November 1982). This contains so much valuable material that a mirrored copy is included here in case the original is inaccessible. Chapin is Ellis Parker Butler's grandson and a Professor of Literature at the University of Hawaii -- West Oahu. [COOK+MILLER] Mystery, Detective, and Espionage Fiction (A Checklist of Fiction in US Pulp Magazines 1915-1974) Editors Michael L. Cook and Stephen T. Miller. Garland Publishing. New York and London. 1988. [COOK+MONRO] Short Story Index (An Index to 60,000 Stories in 4,320 Collections) Compiled by Dorothy E. Cook and Isabel S. Monro. H. W. Wilson Company. New York. 1953. [CORNYN] Index to Theatre Magazine. Prepared by Stan Cornyn. New York and London: The Scarecrow Press, Inc. 1964. This book indexed the 360 issues of Theatre Magazine from 1900 to 1930. The only listing for Ellis Parker Butler is "The Theatre, Yesterday, Today and Tomorrow," issue 330, page 11. [CUTTS] Index to The Youth's Companion 1871-1929 by Richard Cutts. Metuchen NJ: The Scarecrow Press. 1972. ISBN 0-8108-0492-1. The only listing for Ellis Parker Butler is "A Quiet Night with Joseph," Volume 79, April 20, 1905, p 186. [DALLAS] Dallas Morning News Historical Archive (1885-1977) accessed via NewsBank. [EPBLIB] Attribution on our own authority. This material is, or was at some time, in the possession (either physically or electronically) of this web site's publisher. Due to the large number of items containing Butler material, items are continually being both acquired and divested. [ESQUIRE] Esquire Magazine has a complete gallery of Esquire magazine covers. [GOOGLE BOOKS] Found on Google Books. Starting in late 2004, Google has scanned books and made excerpts available on the Web. Users are able to search book copy in a way similar to how they search Web sites. In late August 2006, PDF downloads of many books and magazines also became available. [GUTENBERG] Project Gutenberg includes text for four of Butler's Works: "Kilo" "Mike Flannery On Duty and Off" "Pigs is Pigs", and "The Water Goats and Other Troubles" . [FICTIONMAGS] The FictionMags Index, created from magazine contents listings entered by members of the FICTIONMAGS mailing list. This list has always verified when the information could also be found elsewhere. [HALL] Contributed by fellow magazine archiver Rick Hall. [HANNIGAN] Standard Index of Short Stories 1900-1914. Compiled by Francis J. Hannigan. Gregg Press. Boston. 1972. The entire book may be downloaded here from Google Books. [HARPER] The Man from Muscatine: A Bio-bibliography of Ellis Parker Butler by Katherine Harper. Dissertation. The definitive reference source for Butler material, includes a detailed biography and volumnous bibliography. Bowling Green State University (Ohio). 2000. ISBN: 0-493-03365-3. [IMDB] The Internet Movie Database web site lists three films titled "Pigs is Pigs", two of which are the Butler story. The first, a silent film in 1914, credits Butler but the rest of the information here is sketchy. The second, the 1954 Disney short, is available on VHS as "Disney's Best : The Fabulous 50's." Of course with three films to his credit Butler has his own page on the IMDB site, too. [LOCKE] Contributed by fellow magazine archiver John Locke. [MOA] The Making of America Project (a collaboration between Cornell University and the University of Michigan) has placed online digital versions of The Century Magazine and The New England Magazine from 1890 to 1899. Issues of these magazines contain 16 references to Ellis Butler or Ellis Parker Butler, including the very early "My Cyclone-proof House." The two "Ellis Butler" poems are probably by our "Ellis Parker Butler" (since they preceed all the others) and are treated as such. Also, there were two items not listed in the index ("Maude's Valentine", "A Minute") that are in the scans and text. [NYPL] The listing for "Butler, Ellis Parker" in the online catalog of the collection of the New York Public Library. Includes material from the three boxes of original Butler manuscripts and correspondence in the manuscript room at the NYPL. [NYTIMES] Digital images of The New York Times are available online via web sites of many libraries, etc., including the Houston Public Library, etc. as supplied by ProQuest. 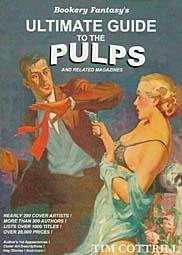 [PULP] Ultimate Guide to the Pulps. Compiled by Tim Cottrill. Fairborn, Ohio: Bookery Press. Bookery Fantasy's Ultimate Guide to the Pulps is the largest, most comprehensive price guide on the subject published to date. While it's a great price guide, it's pretty poor bibliographic source material. It consists of a listing of publications, their issues and the main writers in each issue. There are very few story titles and no cross reference by author. [PULPGEN] Larry Estep's (PulpGen.com) private database. [RGTPL] Reader's Guide to Periodical Literature. Volume 1 (1900) to Volume 10 (1937). H. W. Wilson Company. These volumes list many, but certainly not all, of Butler's published works. Many publications are not represented in this index, but for the publications indexed what is there has always proven complete and accurate. [ROTH] Roth Publishing LitFinder "clearinghouse for poetry, short stories, essays, and plays since 1976." Accessed online (LitFinder.com and RothPoem.com) via Houston Public Library. [SATPOST] Curtis Publishing has a complete online gallery of Saturday Evening Post Covers. [WASHPOST] The Washington Post Historical archives has online search for their issues from 1877 to 1986. Text of the articles is available for a fee. Also, digital images of The Washington Post are available online via web sites of many libraries, etc. as supplied by ProQuest. Much of the research used here was provided by Victor A. Berch, [BERCH] who has our thanks. [WORLDCAT] Contains records cataloged by OCLC member libraries. Access is restricted, use your local public library's web search (including Houston Public Library and many others). [MISC] Miscellaneous source. Usually a library copy from the Houston Public Library, Rice University Library, etc. [RANDLEMAN] Typed bibliography dated April 19, 1948. [WEB] Miscellaneous Internet source. The URL is often included in the commentary. The Atlantic Monthly is online and searchable (click on "the archive"). Downloads of PDF images of the pages (but not text) are available for a fee. The Girl's Own Paper Index lists two items by the author: "Mr Millingham Decides" Volume 37 p685 and "The Party" Volume 38 p 635. Stanford University has an online bibliography for Sunset Magazine from 1898 to 1998, but fiction is excluded. [???] This information is assumed to be accurate, but has not yet been verified.